What do you call a 6-foot-6 high school tight end, power forward and ladies’ man, who has broken every finger on his right hand and is missing two of his front teeth? 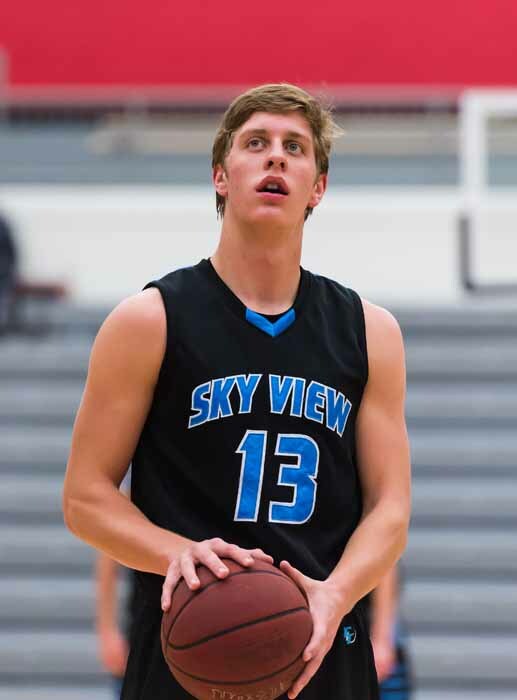 If you’ve ever walked the halls of Sky View High School, you will know this person as Bryce Mortenson, a junior at Sky View who runs track, is on the football and basketball team, and has been playing at the varsity level for many years. As a freshman, Mortenson dressed or the varsity football team, and was on the Bobcat basketball team that won the 2013 state championship. 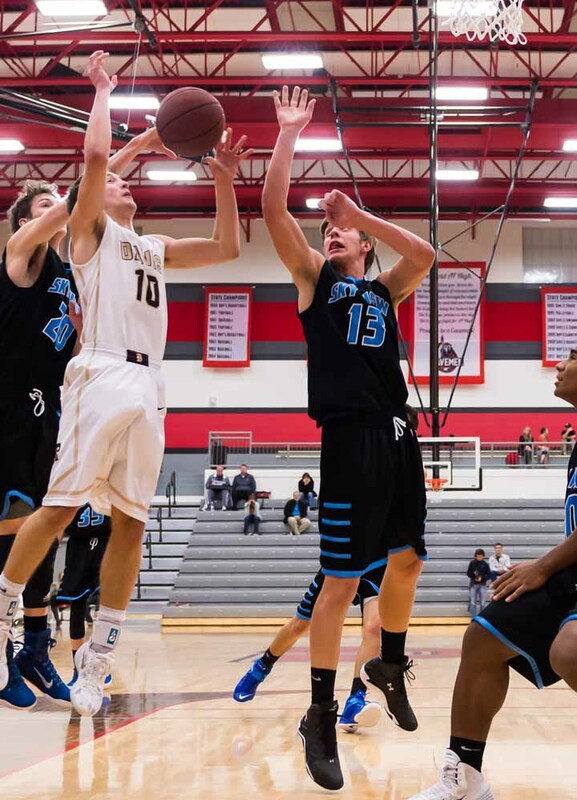 Now, Mortenson is a starter on both teams and is a major playmaker in both of his chosen sports. There were signs that Mortensen would have this kind of career very early, as he has excelled as an athlete and football player his whole life. In eighth grade, Mortenson was a player on Sky View’s Midget football team that won the Mini Bowl. Although Mortensen is an incredible athlete, he doesn’t take all the credit to himself. The accolades poured in during the 2014 football season, when Mortensen was awarded first-team all-state and an all-region award. He was also selected for the Herald Journal’s All Valley football team. Due to his four touchdowns and 107 receiving yards against Provo this year, he was honored as the KJZZ Tosh player of the game. Mortensen has the statistics to back up the hype. He holds the state record for the longest touchdown reception in Utah – 99 yards – and led the state in 4A receiving touchdowns this year. 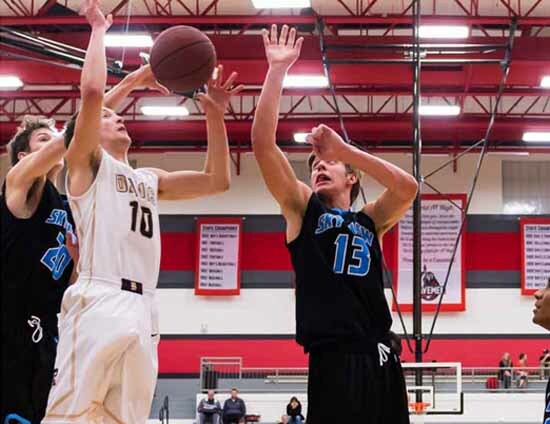 Now that he has turned his attention to the hardwood, Mortenson is enjoying a highly successful junior season, where he is a huge presence down low, averaging 12.5 points and 6.5 rebounds per game. The junior forward is expected to do big things going into the state tournament and is a candidate for all-region and all-state recognition in basketball as well. As a sophomore, he was named all-valley newcomer of the year. Mortenson rounds out the year with a third sport, as he is also a region champion long jumper. Mortensen hopes to follow in his father’s footsteps and play football, his “favorite” sport, at the college level. 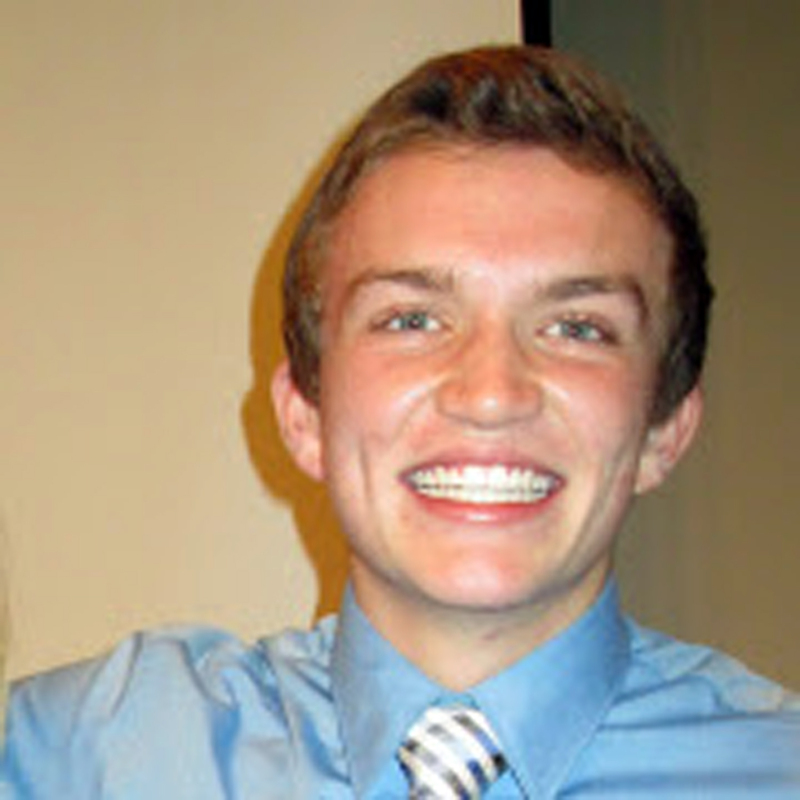 His dad played football and swam at Brigham Young University and his mother was a cheerleader at Snow College. He is the third of four children in his family, with one older sister, one older brother, and one younger brother. The tight end also does exceptionally well in school. “I have a 3.965 GPA and my favorite subjects include chemistry, physics, math and Spanish,” he said. Sky View High senior Ben Watteyne wrote this story as part of the Preps Utah/Nu Skin student journalism program.